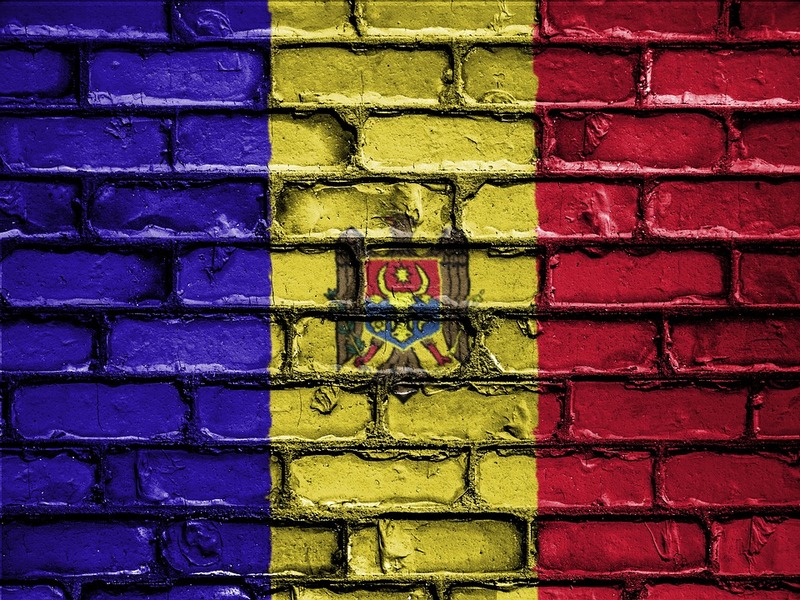 The issue of a common identity in the Republic of Moldova is the country’s greatest problem. 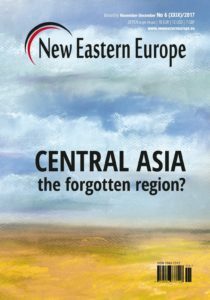 While It is a multi-ethnic country, the main question still remains – who are the Moldovans? Part of a greater Romanian nation or a separate different nation? If it is the second, then – what is their place in Europe? Next to Russia or in the Western world? According to the national census of 2014, some 75 per cent of the citizens declare themselves as Moldovans. Some 7 per cent stated they were Romanian. The remaining group is characterised as Russian speakers – Ukrainians (6.6 per cent), Gagauzes (4.6 per cent), Russians (4.1 per cent), Bulgarians (1.9 per cent) and other smaller groups. It seems three quarters of the population form a titular nation and the situation is not as complex. Meanwhile, Moldova remains divided politically between proponents of closer integration with Russia or the West. It is interesting, and at the same time frightening, to look at the Barometer of Public Opinion from November 2017. It showed that 25 per cent of the group that defines themselves as Moldovan, support a unification with Russia. While another 25 per cent of that group would like to be incorporated into Russia. This creates a geopolitical crack. At the same time, it is problematic that half of the titular nation does not see a point in the further existence of their country. 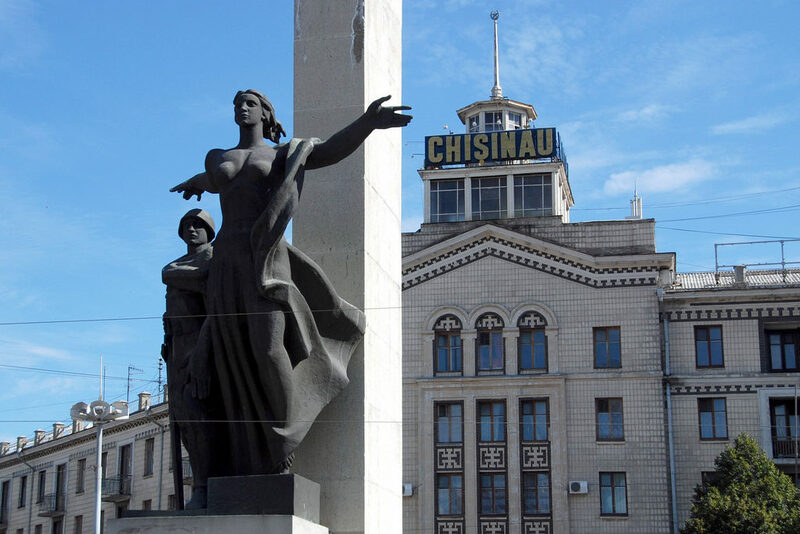 The modern Republic of Moldova is the heir of the Moldavian Soviet Socialist Republic. These are the lands of the left bank of the Prut river, where the Principality of Moldavia developed in late Medieval times. It soon became dominated by Turkey. In 1812, the eastern part of the Principality between the Prut and Dniester rivers was annexed by Russia. The western half combined with the Wallachian Principality to form Romania. From that time onwards, the location of the contemporary Republic of Moldova has been part of a political and ideological argument between Moscow and Bucharest. It was part of the Romanian state only in the interwar period. The political life in the Republic of Moldova is divided into three approaches. 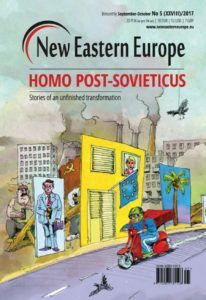 The first is post-Soviet Moldovanism – following an idea created in the Soviet Union, where the Moldovans are a historical nation from the late medieval period, with a civilisation related to Russia. The second approach is unionism – which views the Romanian speaking people of Bessarabia as a part of the Romanian nation. The third one is pragmatic state patriotism. Only the two first approaches control social emotions, motivating supporters to engage in political and civic activities. The third approach is hard to define as a concept. Even though this neutral patriotism was supported by most of the society it was never accepted by the local intelligentsia. There were no symbols or slogans its supporters could rally around. Attempts to create them quickly ended in shame. This approach was utilised politically by the local business elites, which at times avoided the topic of identity or compromised its own narrative in order to loot the state. 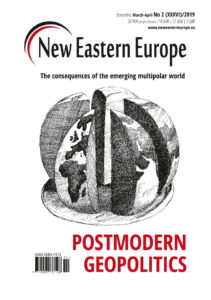 If we were to examine the political dynamic of the Moldovan Republic using the criteria of identity, it would look as following: The collapse of the Soviet Union and building of the new state was a time of unionist triumph. Then in the years 1994-2001, state patriotism dominated represented by the Agrarian-Democratic party (the old kolkhoz nomenclature – “green barons”). This was taken up later by center-right parties who would refer to Romanian cultural ties, without questioning Moldovan statehood. It is in this period Moldova became the poorest country in Europe, becoming associated with trading organs and human trafficking. As a consequence the pro-Russian Moldovanism took over in 2001. The Communist party of the Republic of Moldova, that declared it wanted to join the Union of Belarus and Russia, received a constitutional majority. However, the communists led by Vladimir Voronin declined to sign the Kremlin plan to solve the Transnistrian conflict. A plan that would most likely bind Moldova with Russia forever. 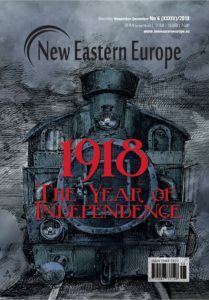 Forced into an ideological U-turn, they chose the state patriotic approach and looked for allies in the West, while remaining hostile and distant towards Romania. The communists did not manage to stay in power owing to their own greediness. It hampered the realisation of the ambitions and interests of young people and a new business class. In 2009, after the “April revolution”, they returned power to a coalition of parties that represented state patriotism combined with a light unionism. The main idea that united these groups and attracted voters was European integration. Post-Soviet moldovanism and unionism attract people to the streets and catch the attention of international media. The silent majority of Moldovans however, were proponents of state patriotism. Its fundamental notion is that the people in the Republic have a unique and different historical experience that resulted in having their own country. It is inside of it they should find solutions. This attitude has had different colours – sometimes lightly pro-Russian and at times Romanian. Sometimes it was wholly dependent on avoiding any difficult issue. It was said that Moldova is a too small of a country to enter large scale politics. Because of its geopolitical location it should keep good relations with both Russia and the West. In the 1998 elections the communists managed to enter parliament for the first time, while the Agrarian-Democratic party began dissolving into smaller fractions. What came out of it was a eclectic center-right coalition that included the pro-Romanian forces. This resulted in political chaos and frequent government changes every other month. The economic and social effect of this period was so fatal, Moldovans handed power over to the Communist Party. Their rule lasted for almost nine years and were not the worst when it came to social policies. 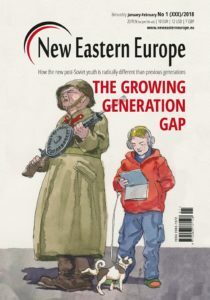 The rule of one party did block any chance of social mobility for a whole generation of young people, who looked towards Europe. 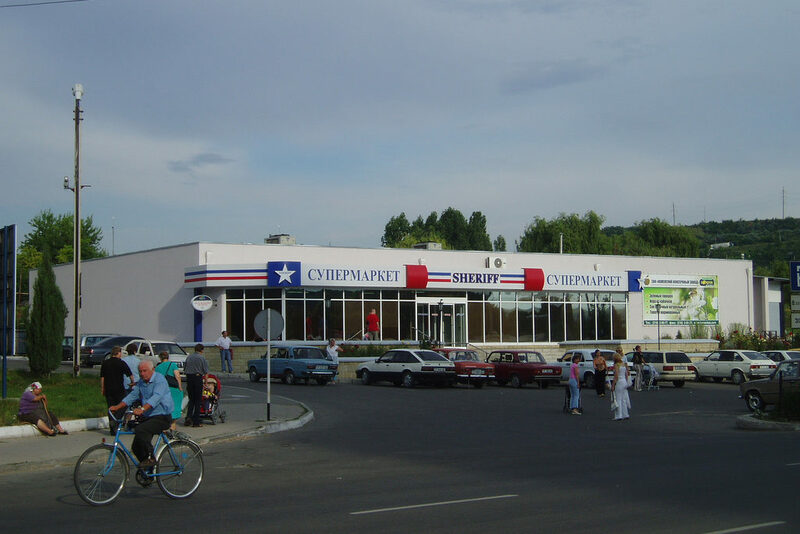 Local business also had its ambitions and development hampered by the Voronin clan. In 2009, after a wave of protest, power was taken by four center-right parties. The Democratic Party and the Our Moldova Alliance represented state patriotism. The Liberal Party was a unionist party, while the strongest Liberal Democratic Party of Moldova attempted to pursue a new idea that could be defined as European Moldovanism. The idea of European integration was the unifying component of that coalition. There divide between a Romanian cultural identity and Moldovan patriotism was becoming clearer. In 2010 I asked the leader of the Liberal Democratic Party of Moldova, the then Prime Minister Vlad Filat about his attitude to Moldovan patriotism and the Romanian national idea. 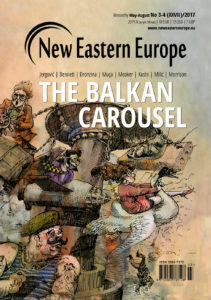 He answered that the sentiment towards Romanian culture does not contradict Moldovan patriotism, where the attachment to the state is fundamental. “One could claim, that one speaks Romanian, while at the same time being a patriot of the Republic of Moldova. If an Austrian speaks German, it will not mean he is not an Austrian patriot” – he added. It seems most his supporters and the other parties in the coalition were of the same mind. 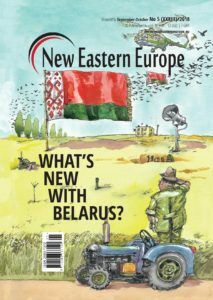 The ruling coalition was already under pressure in 2013, but the real collapse came in the beginning of 2015, with the aforementioned “theft of a century”, that infuriated Moldovans. No one had any illusions anymore, with the European idea just being a cover for oligarchs and politics to shamelessly loot and take over the state. Even if there were hopes in the beginning, the governing coalition did nothing in its six years in power to create a modern Moldovan patriotism. There were no new symbols or a common language that could build a community. The only ideal that was supposed to unite citizens was European integration. Unfortunately, their government had compromised that ideal in the eyes of many Moldovans with their disastrous rule. 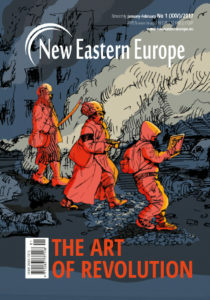 The old electorate of the pro-European coalition, upset and disappointed, removed themselves from politics entirely or supported new pro-Western political forces that came about after the protests against the oligarchs. 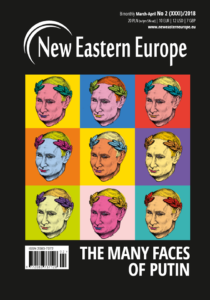 A an effect Moldova has been ruled by a duopoly of two theoretically opposing forces: The pro-European Democratic Party controls the government and parliament, while President Igor Dodona supports a closer relationship with Russia. 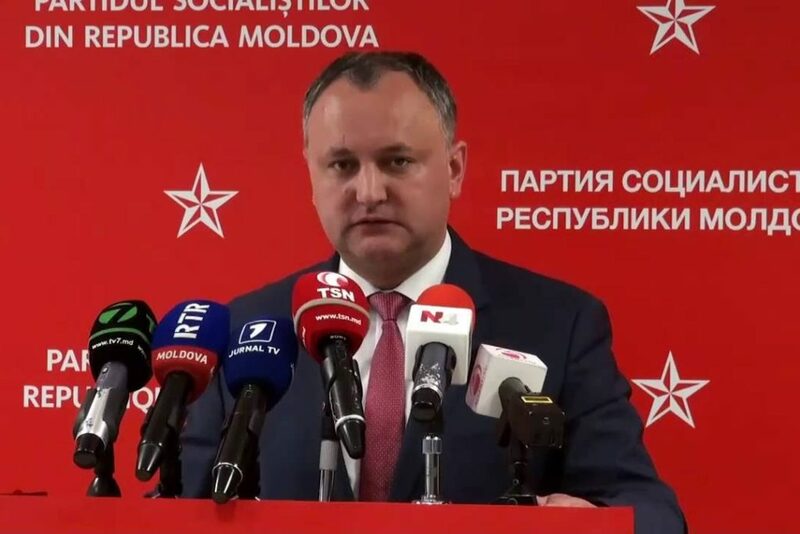 The cheap anti-Russian rhetoric of the democrats is good for Dodon – while his love for the Russian world is supposed to create a notion that only the current government is able to defend Moldova against Russian tanks. 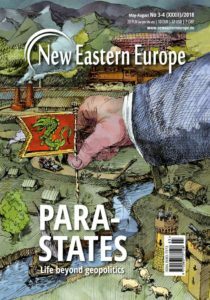 It is often written of the Moldovans that they are an artificial nation, an invention of Soviet politics. This is not the most important problem. Every nation is after all some kind of artificial social construct, that came to be in some historical period. Some nations went through this process earlier, while other later. A hundred years before the Romanian state appeared, no one had ever thought such a nation exists. The Russian sociologist Dimitri Furman claimed the Soviet Union constructed and deconstructed nations simultaneously. The Moldovans are a clear example of this. It is interesting that the independent Republic of Moldova somehow retains the function of its previous Soviet predecessor. The Moldovans have their own state, which in turn guarantees unique experiences and creates a feeling of unity in fate. The local political-business elite is doing everything in its power to halt the finalisation of the formation of the nation. Chances to build state patriotism have been missed twice already. The political-business elite that kept on looking to the West had the same role as the “green barons” of the kolkhoz nomenclature. It is impossible to build state (civic) patriotism while dismantling the state. This is why it is hard to be surprised people chose emigration or see a better future for themselves and their children in a union with Romania or closer to Russia. A little bit like: let someone else come and fix it. 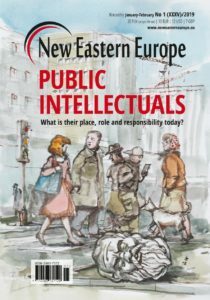 The lack of a coherent national identity is good for the local oligarchs because it moves geopolitical identities to the forefront, which in turn makes it easier to control the emotions of the wider society. The politics of Russia and the West enhances this phenomena further. In the end, both sides support their own geopolitical representation giving them a chance to pull through. It is hard to say if something could change this situation. Perhaps only a demographic disaster that would cause the elites not to have anyone to prey on. This scenario is very real. The prognosis points out that if this pace of depopulation continues, Moldova’s population could decrease with 44 per cent by 2050. 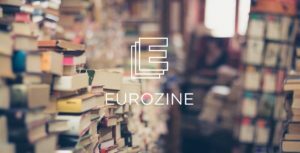 This is a shortened version of an article that first appeared in the Polish monthly “Znak” (nr 756, May 2018). 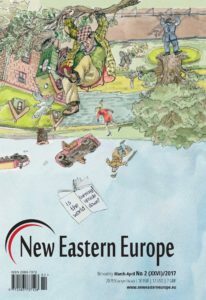 dr. Piotr Oleksy is a historian with the Institute of Eastern Studies at the Adam Mickiewicz University in Poznań. He works with ”Nowa Europa Wschodnia” and ”Tygodnik Powszechny” and is a member of the board of the Center for Regional and International Initiatives.